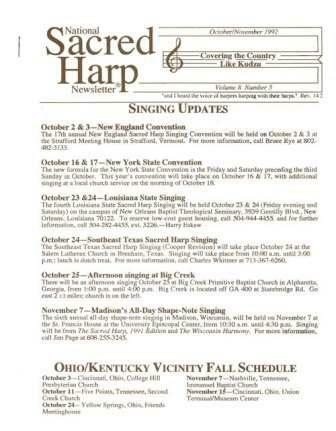 Sacred Harp singing is the largest surviving branch of traditional American shape note singing. 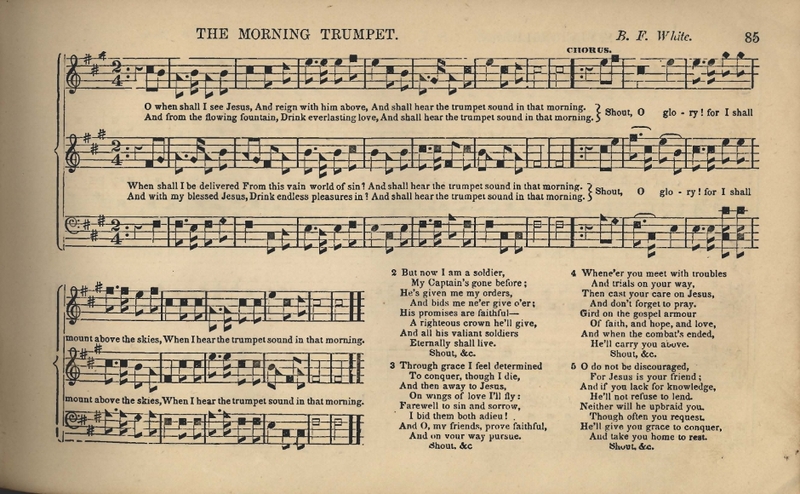 It assigns one of four shapes to each note of the familiar seven-tone scale. The right triangle is designated fa, the oval sol, the rectangle la, and the diamond mi. 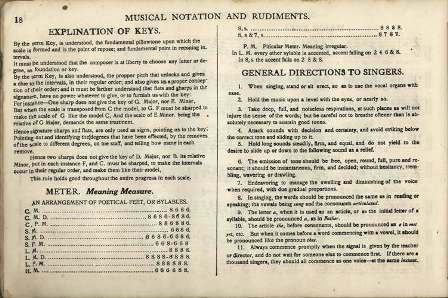 The shape notes aid sight-reading by providing an additional means of recognizing intervals between notes. 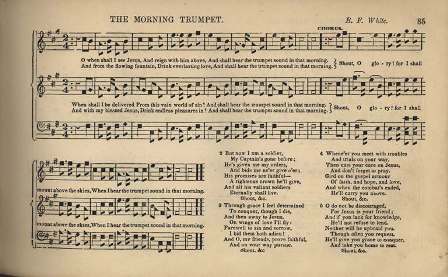 The lively part-singing that the shape-note system supports is sometimes called dispersed harmony. 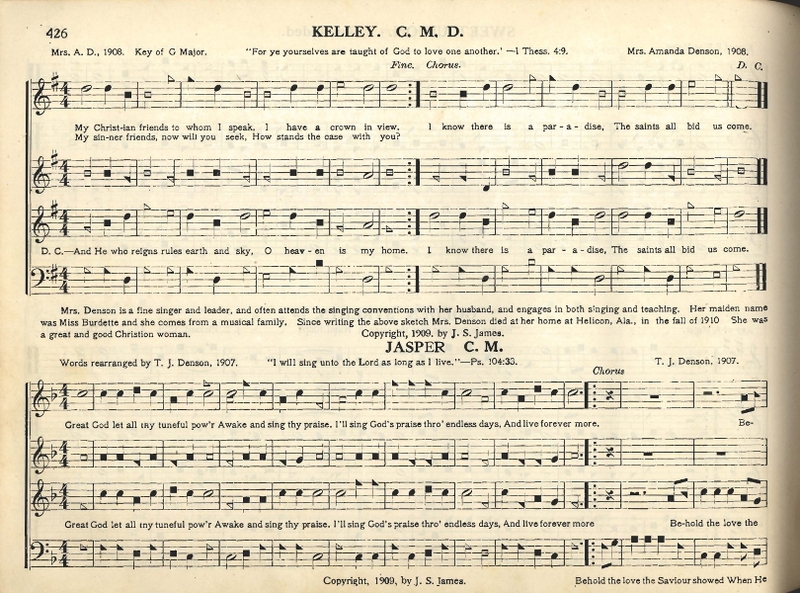 In this style of composition, each vocal part - treble, alto, tenor, and bass - occupies its own separate staff, with the parts freely crossing one another and the tenor, or third line, carrying the chief melody. 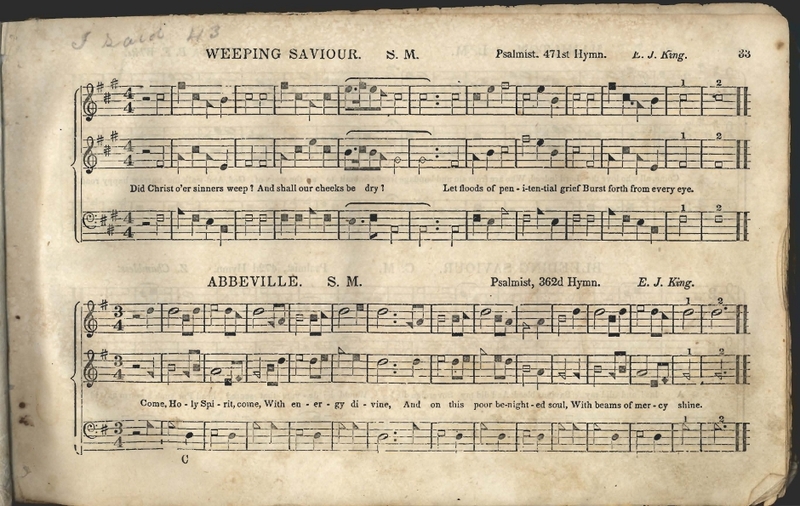 The special typesetting requirements of dispersed harmony give "fasola" hymnals their characteristic oblong shape. 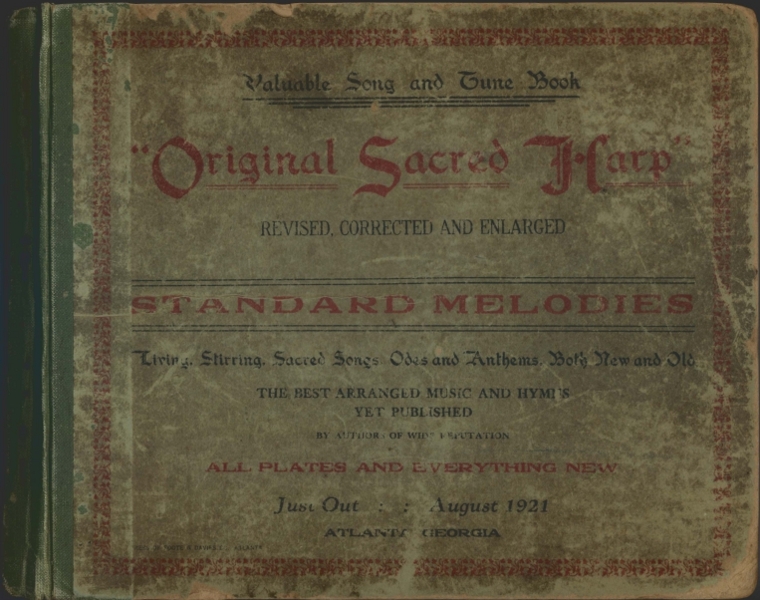 "Sacred Harp" refers to The Sacred Harp, a book first published in 1844 and continuously updated since. 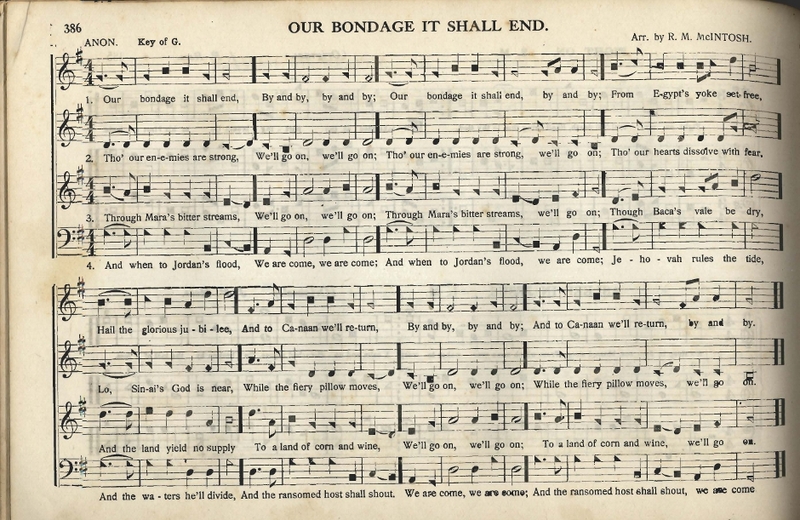 Along with other hymn books from the era, its repertoire of 550, four-part a cappella hymns, odes, and anthems is part of the foundation of a vibrant oral tradition handed down since Colonial times and still practiced at hundreds of annual singing meetings, conventions, and local singing groups throughout the country, including one here at Emory. 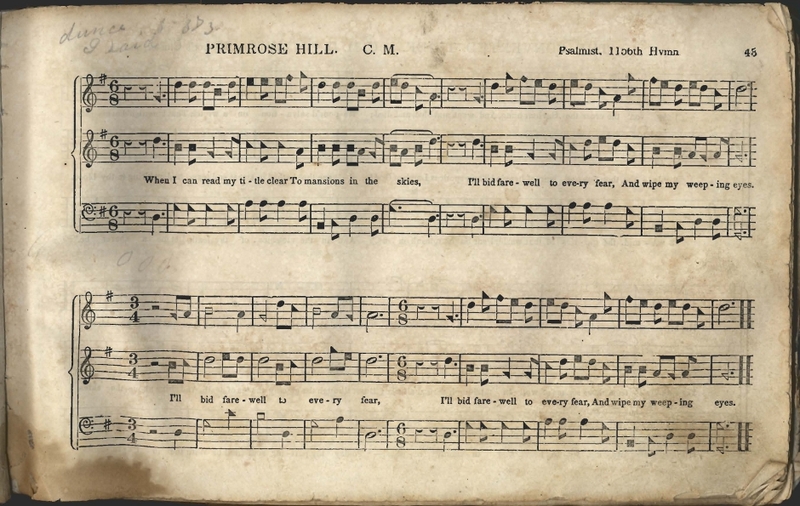 The success of the movie Cold Mountain (2003), with its soundtrack featuring Sacred Harp songs, triggered a renewed national interest in Sacred Harp singing. 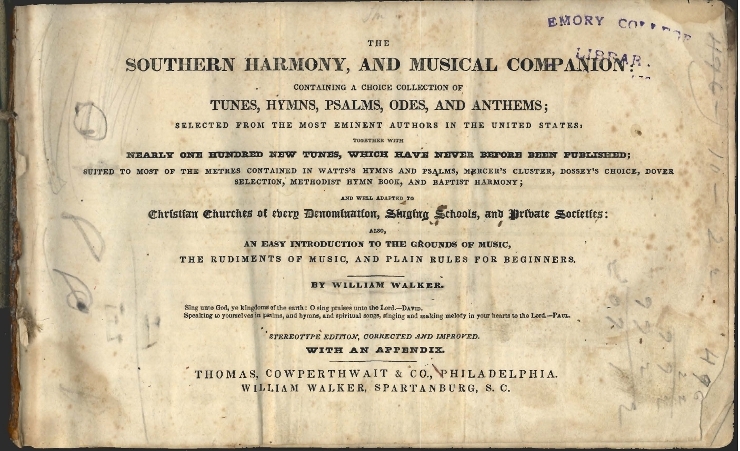 "Previous to this time Major White and his brother-in-law, William Walker, wrote a music book known by the older people as the Southern Harmony, in four shape notes, the same as those used in the Sacred Harp . 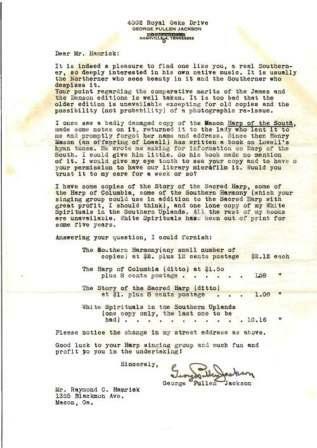 . . An arrangement was made between them for Walker to go north and have the book published . 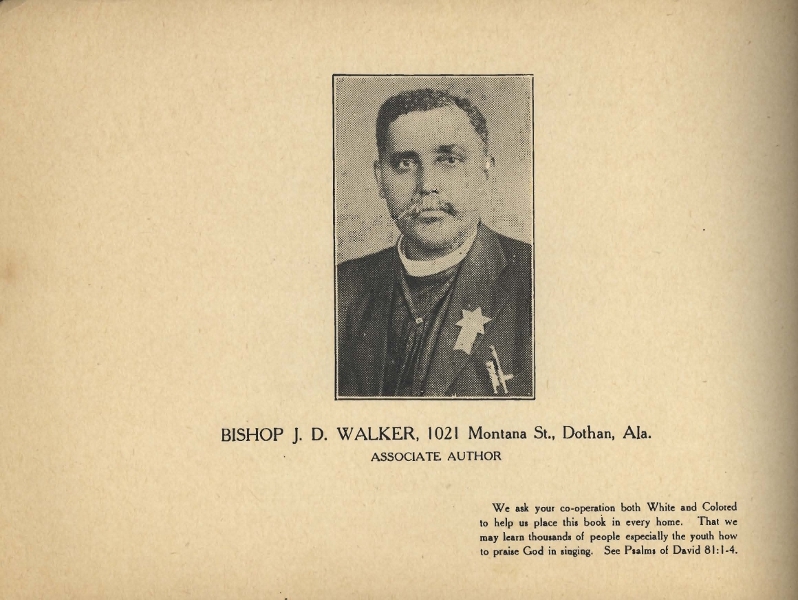 . . Walker took the manuscript, and he and the publishers changed the same without the knowledge or consent of Major White and brought it out under the name of Walker, giving Major White no credit whatever for its composition. 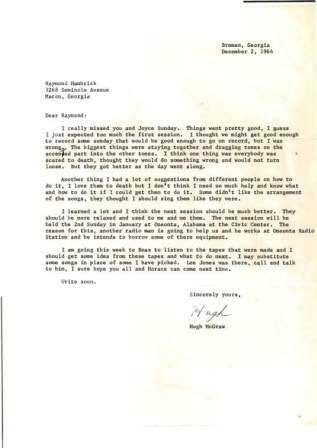 Because of this action White and Walker become completely estranged and never spoke to each other again" (A Brief History of the Sacred Harp, 29-30). 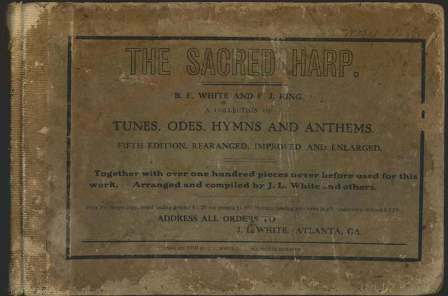 This 1850 second edition of the The Sacred Harp, compiled by B. F. White, was the first of numerous revisions of the hymnal. 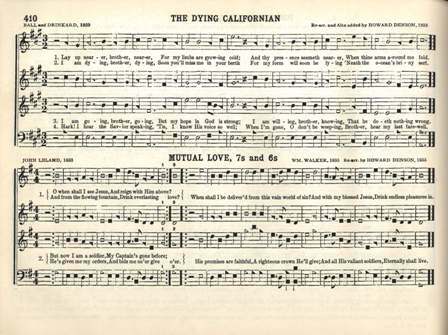 A cold or cough, all kind of spirituous liquors, violent exercise, too much bile in the stomach, long fasting, the veins overcharged with impure blood, &c. &c., are destructive to the voice of one who is much in the habit of singing. 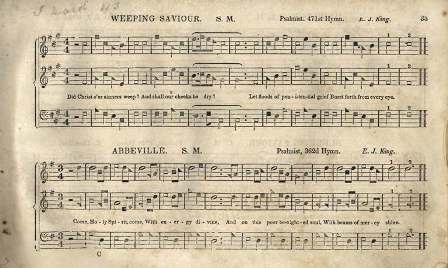 An excessive use of ardent spirits will speedily ruin the best voice. 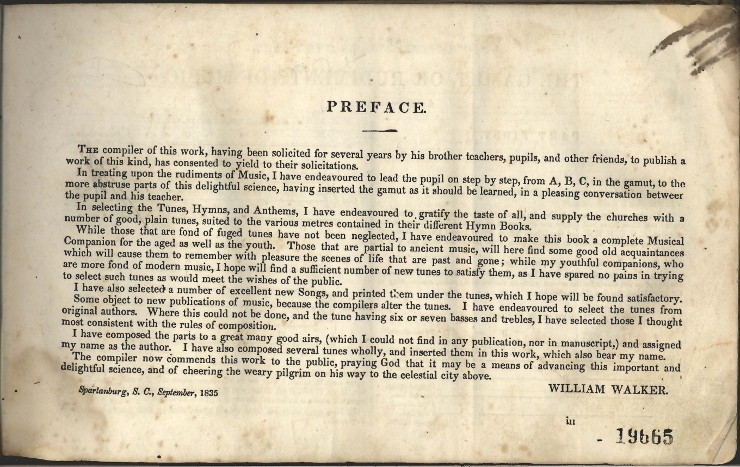 This "Fourth Edition Entirely Remodeled" is the first revision by B. F. White to made substantial changes. 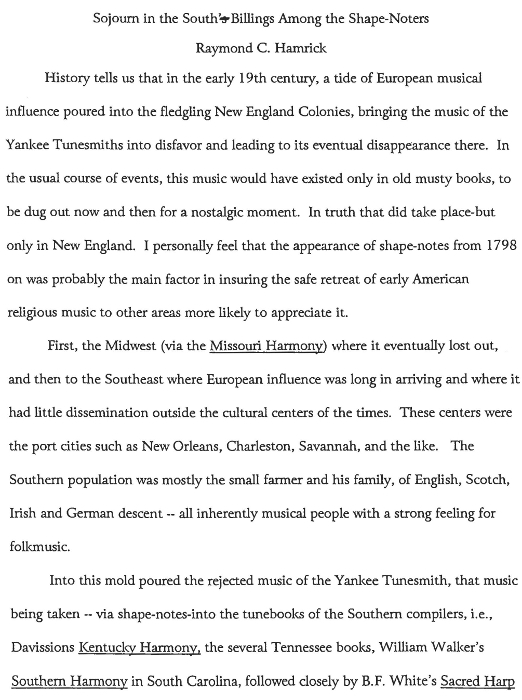 The purpose of the revision committee is stated here on page 430 in a preface to the "New Appendix." 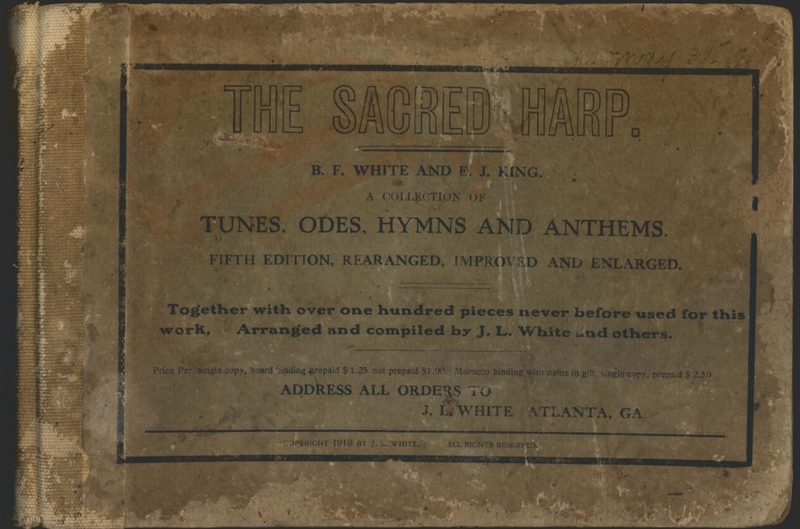 The fifth edition of The Sacred Harp was published in 1910 under the direction of B. F. White's son, J. L. White. 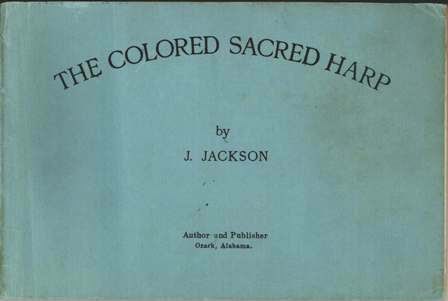 "The White book" is a substantial revision of the 1870 edition. 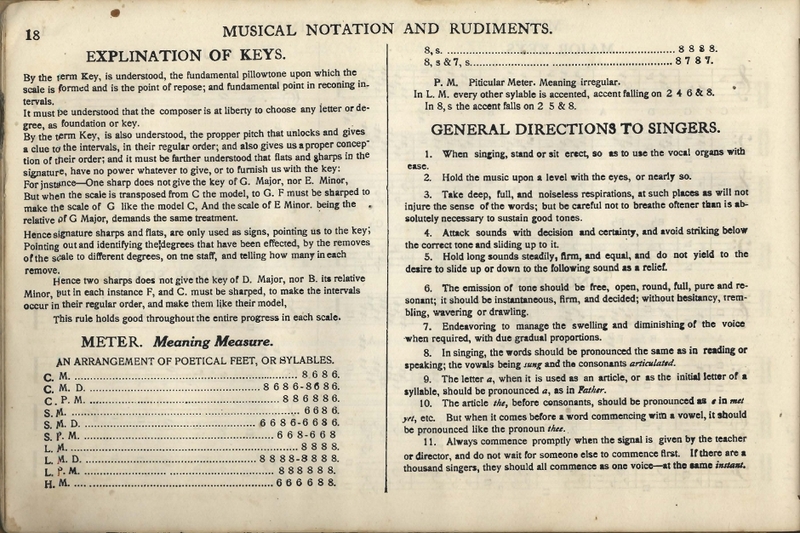 In addition to seventy-three pages of new music, the terminology in the "Rudiments of Music" was updated to accommodate such terms as whole, half, quarter, and eight notes instead of semibreve, minim, crochet, and quaver. The United Sacred Harp Musical Association appointed a committee to prepare a new revision of the Sacred Harp and chose Joe S. James as chairman. 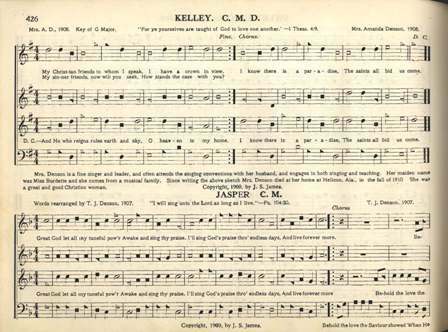 Published in 1911 under the title Original Sacred Harp, "the James book" adhered to the format of the 1870 edition. 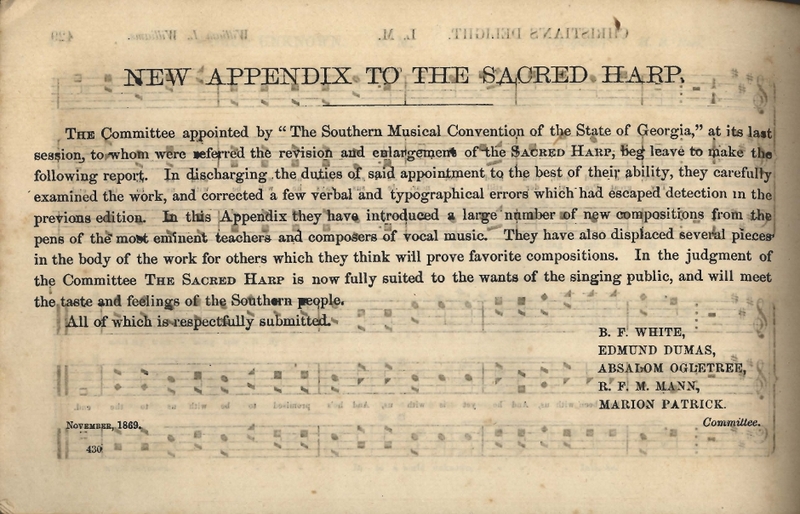 The Original Sacred Harp came into competition with the Cooper and White revisions. 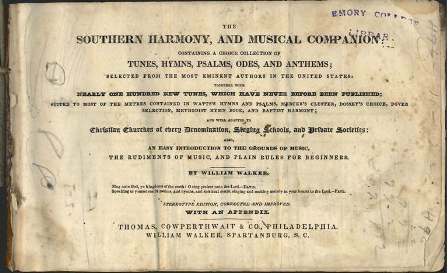 Cooper sued James, charging that the alto parts for his book were taken without permission. 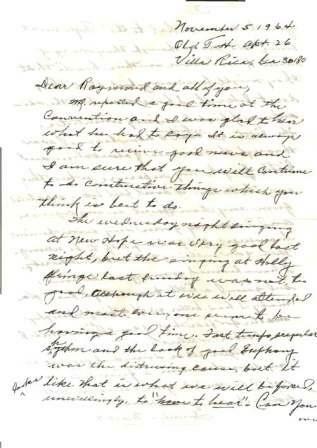 The court did not rule in Cooper's favor. 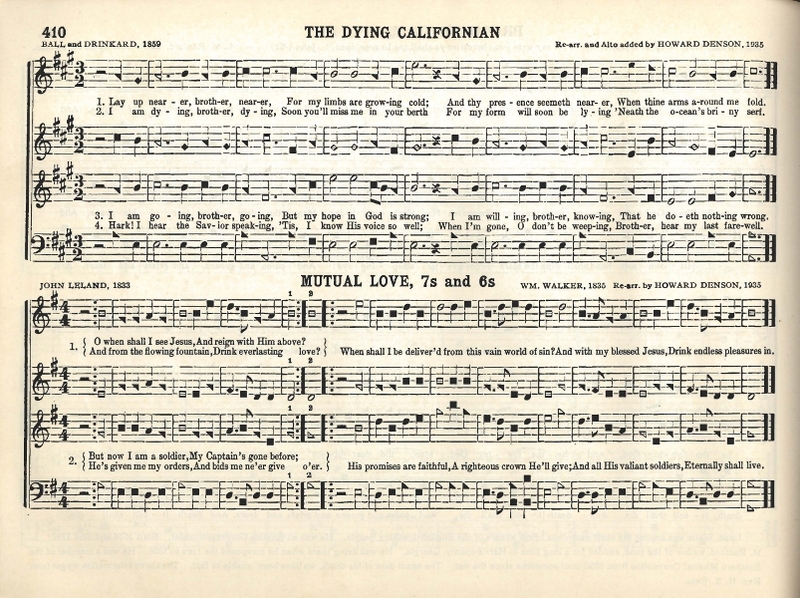 Compiled and published by J. Jackson, this small volume has much in common with The Sacred Harp: the same oblong shape and dimensions, the same fa-sol-la solemnization, the four-shape notation, and the same sorts of song - Old Baptist, revival spirituals, and fuguing tunes. 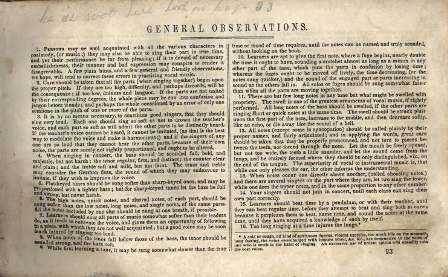 Click on images for slideshow of pages from this work. 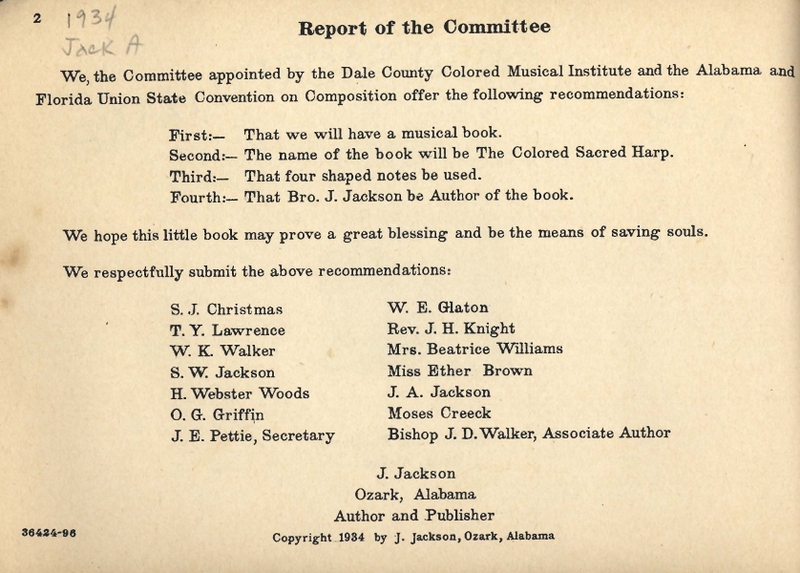 A revision of the 1911 "James book" was compiled by Thomas J. Denson and his son in 1936 under the title "Original Sacred Harp" (Denson Revision). 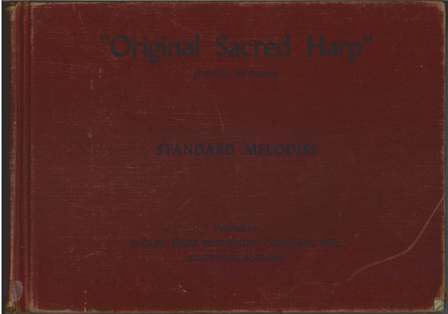 This edition was reportedly the most popular version of The Sacred Harp during the late 1930's through the 1950's. 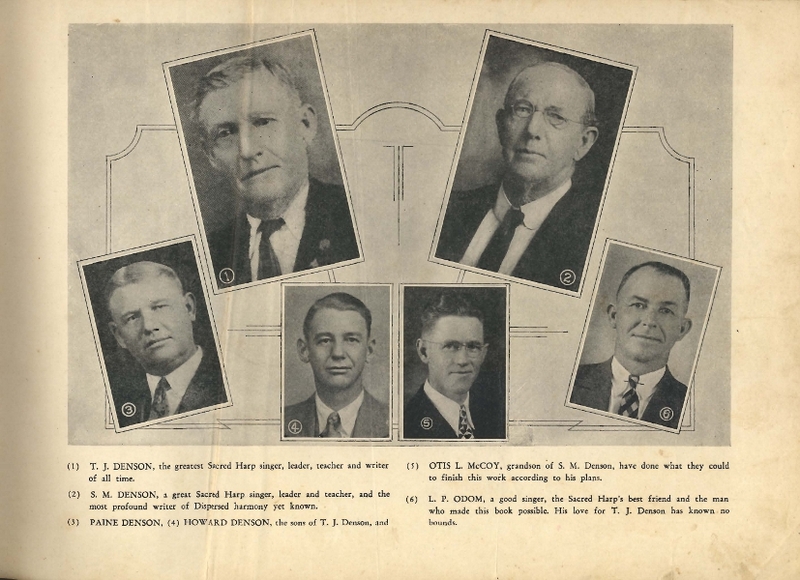 Photos of the Densons and Other Writers. 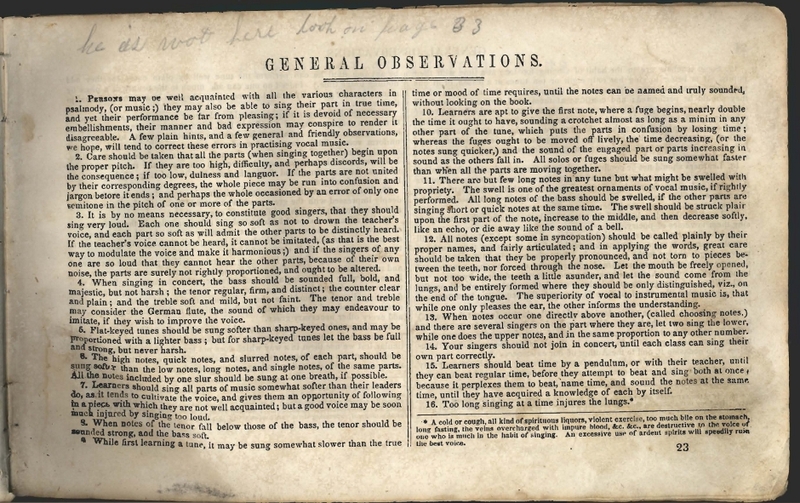 (Click on image for slideshow from this work). The Denson family was well represented by songs added in the book. 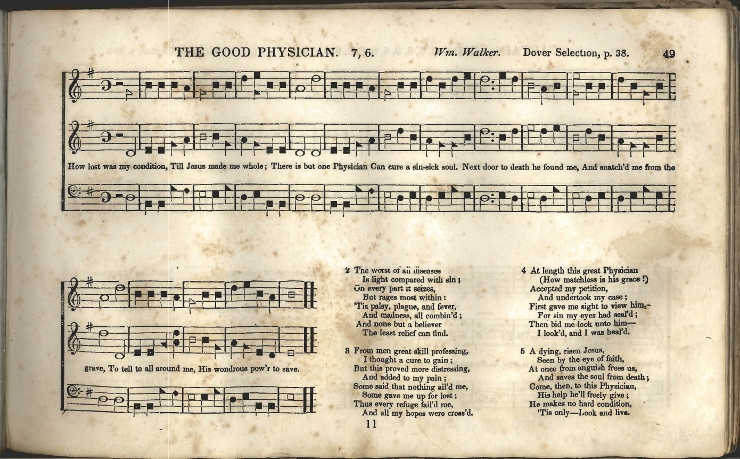 Seen here are two of the 34 songs composed or arranged by members of the Denson family. 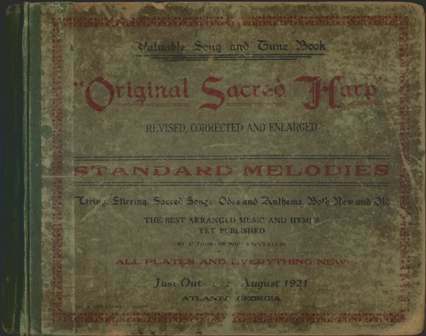 This 1993 collection of hymns and anthems is made up of songs by contemporary composers using the Sacred Harp style of musical notation. 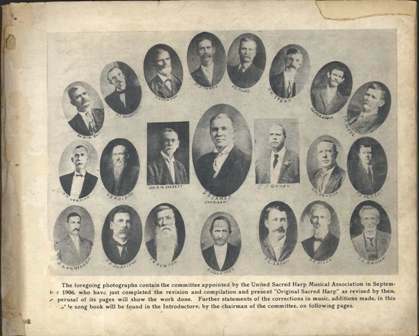 A new generation of songwriters is building on the Sacred Harp tradition, maintaining its core elements, while invigorating it with fresh ideas. 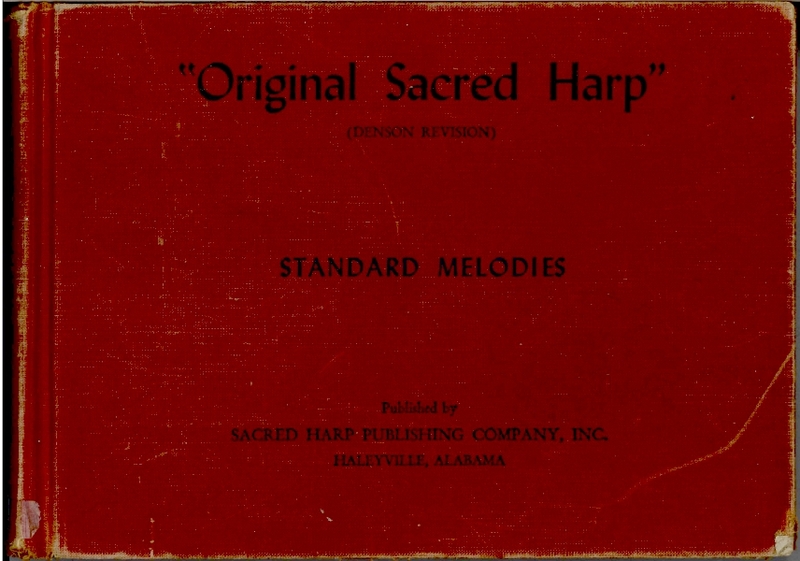 Raymond Hamrick, a lifelong resident of Macon, Georgia, became involved with Sacred Harp singing following his return from military service in World War II. 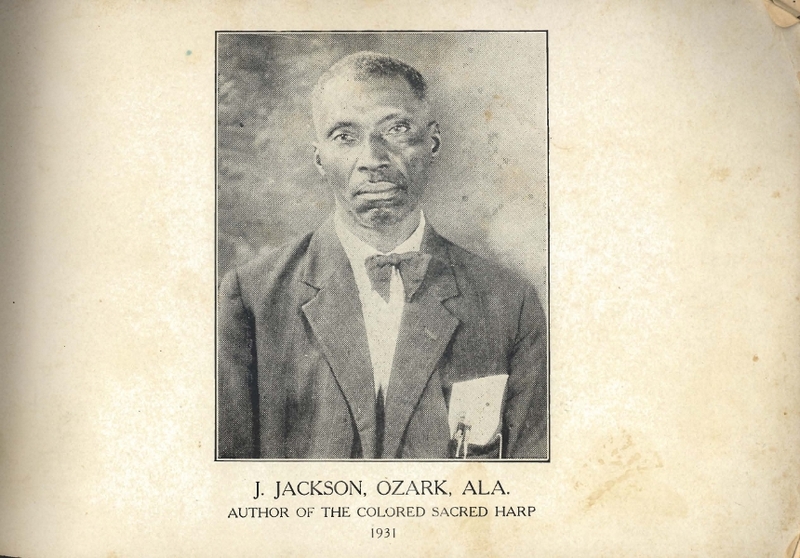 He is the composer of several tunes in the 1991 edition of The Sacred Harp. 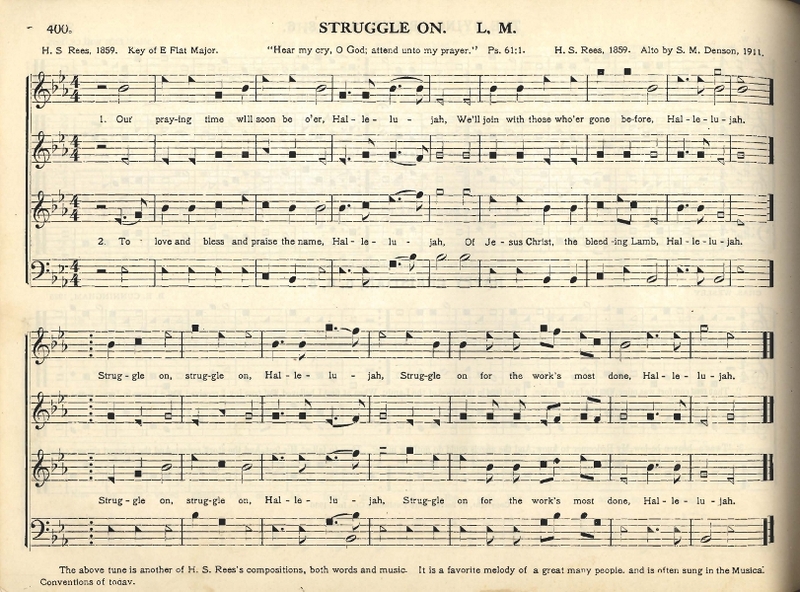 He has written for numerous Sacred Harp newsletters and for The Quarterly Journal of Music Teaching and Learning. 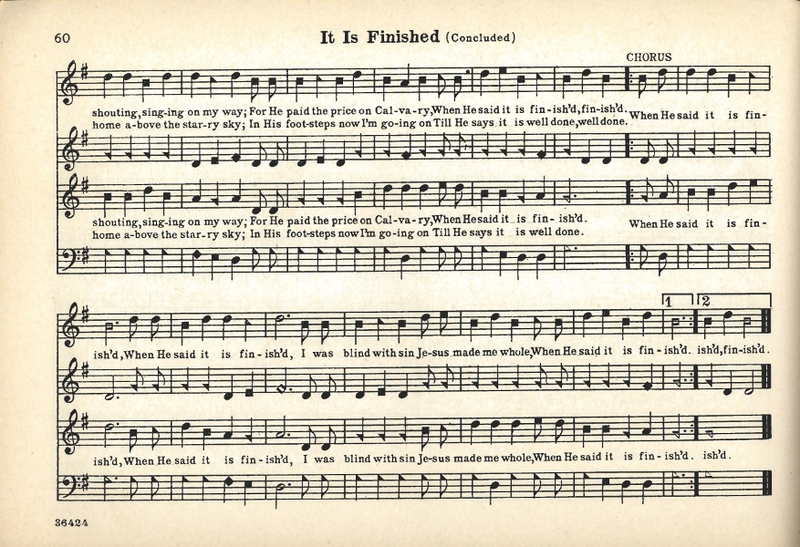 His personal library of shape-note hymnals was added to the special collections of Pitts Theology Library in 2005. Along with his hymnal collection, Raymond Hamrick donated his personal correspondence and other papers. 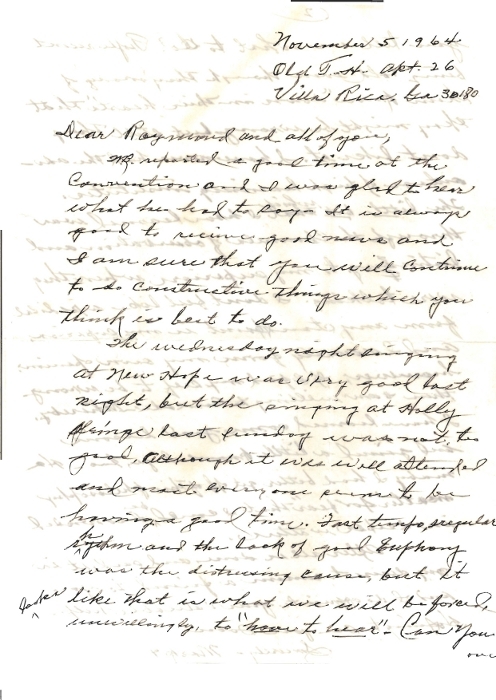 Letters between Hamrick and other Sacred Harp singers in Georgia, including Hugh McGraw and A. Marcus Cagle, demonstrate the strong bonds of friendship that formed through participation in singings. 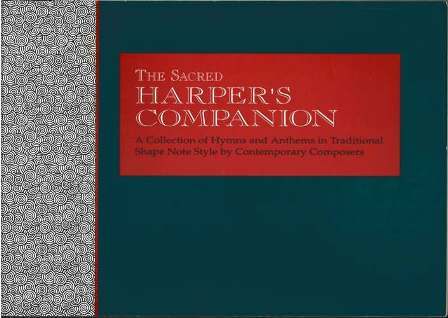 Hamrick himself authored a number of articles on Sacred Harp and shape-note history and practice. 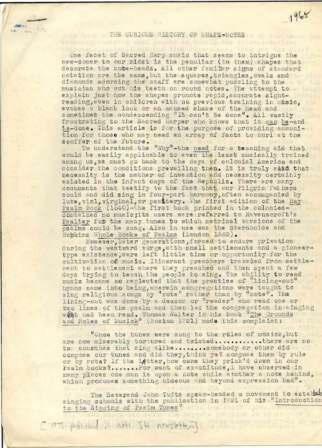 Manuscripts from the Hamrick papers include "The Matter of Tempo in the Sacred Harp," "The Curious History of Shape-Notes," and "Sojourn in the South - Billings Among the Shape-Noters." 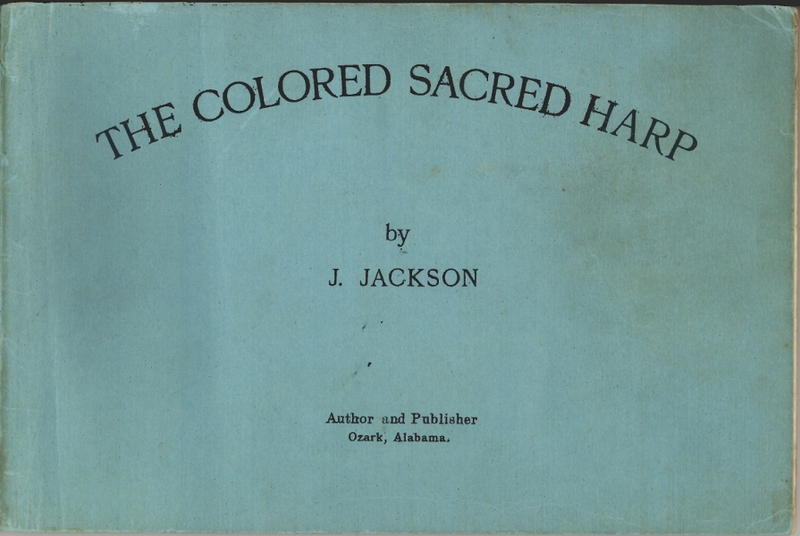 Hamrick also collected articles on Sacred Harp from both scholarly and popular publications, several of which are displayed. 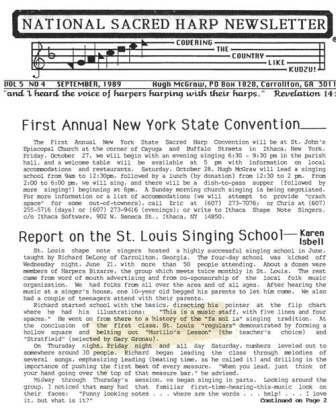 In a letter from 1964, Cagle offered his criticism of a singing at Holly Springs: "fast tempo, irregular rhythm, and lack of good euphony." 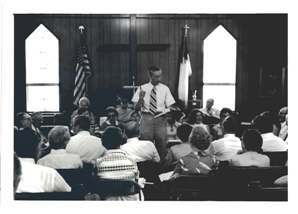 He believed that the Wednesday night singing at New Hope was more successful, describing it as "very good." 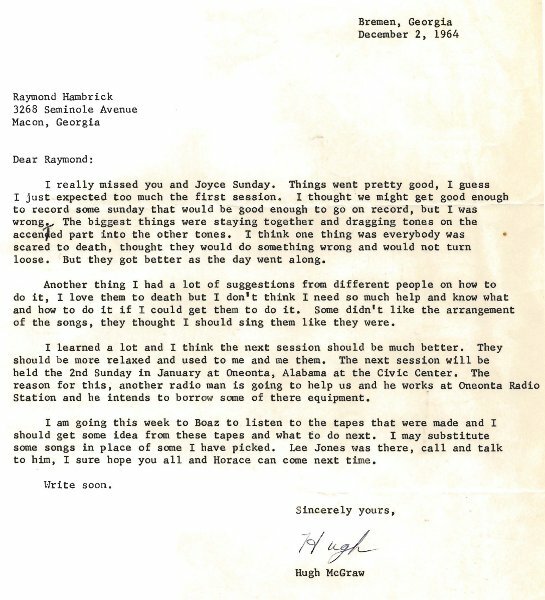 In this 1964 letter to Hamrick, Hugh McGraw discusses what he learned as leader of a recent Sacred Harp sing. 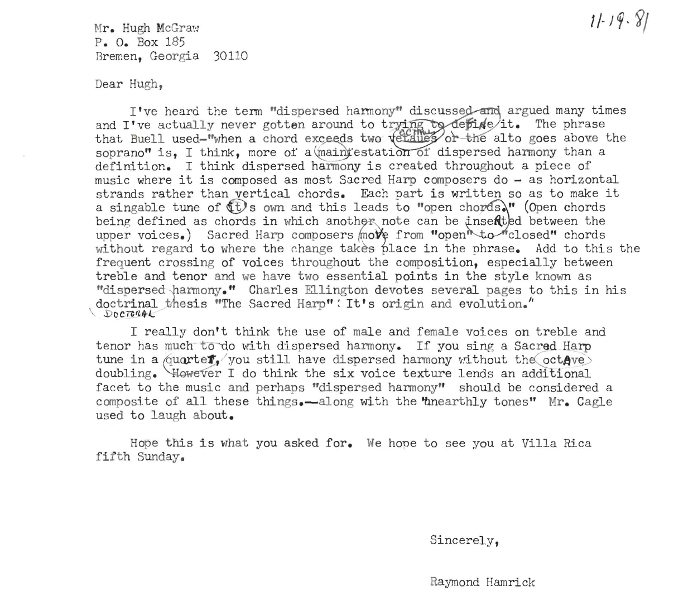 Also shown is a 1981 letter from Hamrick to McGraw on the subject of dispersed harmony in Sacred Harp music. 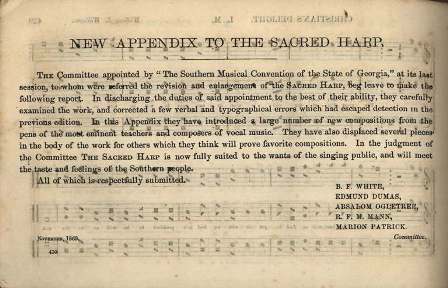 Sacred Harp singing is strongly associated with the southern United States. However, interest in the tradition has spread across the country. 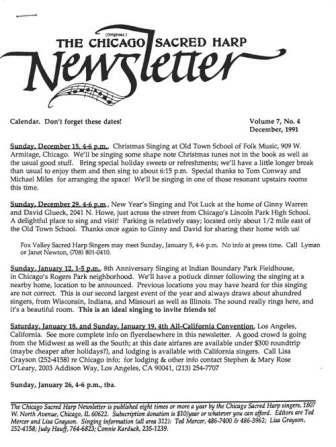 These newsletters from the Raymond Hamrick Papers demonstrate the geographic range of Sacred Harp singing groups: from the Northeast to the Midwest to California and the Pacific Northwest. 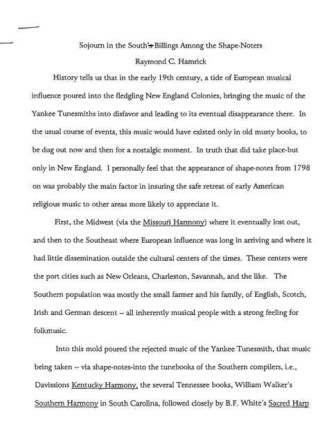 Hamrick corresponded frequently with scholars interested in Sacred Harp music. 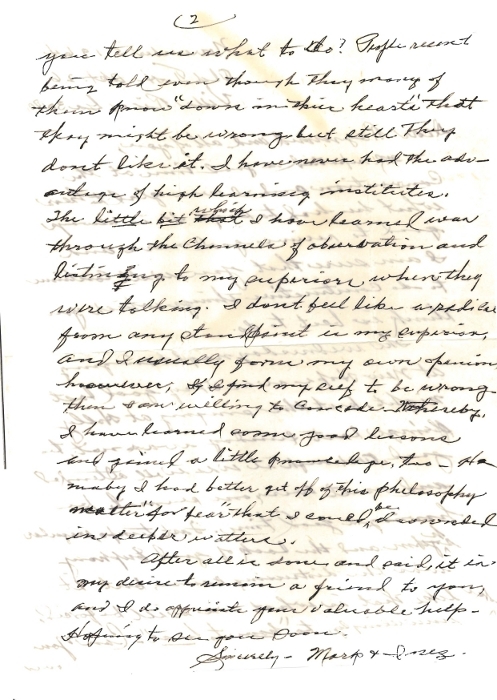 Shown here is correspondence between Hamrick and George Pullen Jackson, the author of The Story of the Sacred Harp. 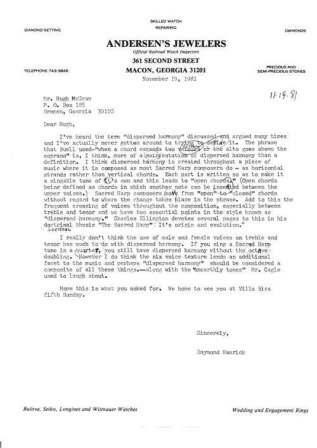 In 1950, Pullen wrote to Hamrick "It is indeed a pleasure to find one like you, a real Southerner so deeply interested in his own native music."